2. See Packages And Prices! 3. Book A Magic Show Online! Enter your info below and click 'CHECK AVAILABILITY!'. You’ll immediately see if John is available for your event and also receive details of the different packages John offers, including pricing! How did you find John? Select Option Personal Referral Online Directory Google Search I’m a prior client Other (write in below) Other What phrase did you search? Who referred you? Which online directory? What type of family event are you planning? 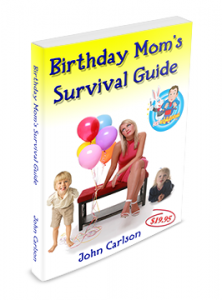 FREE GIFT - When you request information you’ll also receive a digital copy of John's book ‘The Birthday Mom’s Survival Guide‘. If you would prefer not to provide your email address at this time, you can call us at 800-269-1106. We would be more than happy to speak with you about our different packages and pricing options and answer any questions you may have. However, due to our busy performance schedule, the fastest way to receive all pricing info, is by filling out the form above. Curious to SEE Which Celebrities Have Hired John Carlson for Their Kid's parties? Why Do Hollywood Celebrities Hire John Carlson The Magician For Their Children's Parties? 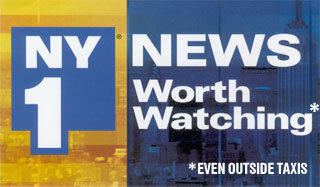 What Did Natalie Morales of The NBC Today Show Say About John Carlson's Show? Download your FREE copy of John's New Book! "John, thank you for the book. I love it!" Download your FREE copy of the official John Carlson app for your iPhone and Android device! Finally A Website that has Easy Magic Tricks for Kids of ALL Ages! 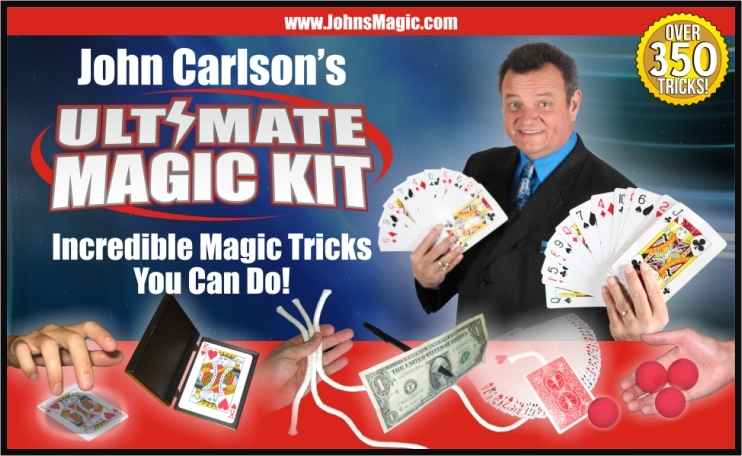 Get your official John Carlson's 'Ultimate Magic Kit'! in Orlando or Central Florida who is looking to hire a magician for their child’s birthday party or special event. – To personalize user experience so we can provide great magician services. We may use information in the aggregate to understand how our Users as a group use the services and resources provided on our Site concerning any magician for hire in Orlando or surrounding areas. – To improve our Site in order to make it simple to hire the Best Kid Magician. – To process payments and/or deposits pertaining to a magic show. – To send periodic emails that provide booking information about hiring the best magicians. We do not sell, trade, or rent Users personal identification information to others. It is only used for the reason of booking a magician in Orlando or surrounding area and all of central Florida. We may share generic aggregated demographic information not linked to any personal identification information regarding visitors and users with our business partners, trusted affiliates and advertisers for the purposes outlined above.